This is a massive reworking of the series, partly inspired by William Shakespeare's play "Julius Caesar". 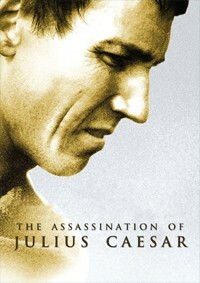 The edit focuses on the events leading up to and following Caesar's assassination, recasting Brutus as the main character. First and foremost, this was an experiment in editing - to edit an entire TV series' worth of footage in order to tell a self-contained, different and cinematic story. I didn't want to simply condense the story of the series into two hours, I wanted to tell the best possible two-hour story with the footage that was available. Great care was given to the dramaturgical structue of the piece - I did my best to create a story that fit into a classical three-act structure. - Jack Wall's title theme for the computer game "Myst III: Exile"
- Gabriel Yared's rejected soundtrack for "Troy"
Having never read Shakespeare before, and since Kerr found inspiration in the play, I decided to tackle The Tragedy of Julius Caesar before I watched the edit. With the material to work with—what with Brutus as a part of the larger cast, as others have said below—I think that Kerr has done something magnificent. The story didn't deviate all too much from the play, and there seems to have been enough material to work with. Otherwise, this could have turned into a fade-extravaganza (a few are present, but not to the point of annoyance), but Kerr found a story and an arc that worked. If this was "an experiment in editing," I'm stocking up on Kerr's edits. Phenomenal work, both audio and video-wise. Nothing to remark, except the brilliance of it. I watched this with my girlfriend, and we both loved it. We are both obsessed with Shakespeare and thought this was a wonderful slightly more historically accurate telling of that same story. It was really enjoyable to watch Caesar announce he was giving people money and farm land and then jump to the senators calling him a "corrupt monster." Brutus never really felt like the main character in this edit though, as we both were much more invested in Antony, his actor and his story. Overall the editing was beautiful, and my girlfriend was awed by the opening and closing credits, as she's never seen a fan-edit before, so she was surprised by the opening title sequence. She also says to "Hurry up with Antony and Cleopatra." An ellegant Shakespearean edit that has passed a bit unnoticed so far, but that deserves much more acclaim. It does cover roughly the same events than Shakespeare's Julius Caesar, and does so in a way that almost feels conceived as such from the start. It is true that the actor playing Brutus is not completely up to the task, particularly when compared to James Mason in the 1953 film of the play, but considering that he was initially just part of an ensemble cast, he's more than adequate. Titus Pullo's cameo is very welcome and does feel like something special. The technical execution (no pun intended) is completely flawless and the nips and tucks are invisible. If anything, there's slight pixellation during some fast movement shots, but otherwise video and audio are up to commercial release standards. Be sure to stay through the end credits for a nice teaser that reveals that Kerr's Rome/Shakespeare mashups aren't over. Another remarkable artistic triumph for Kerr. As a big fan of the HBO series and of Kerr's past fanedits, I was very excited about this one. This project is a big undertaking. Unfortunately it didn't quite have the payoff I had hoped for. The narrative left me feeling similar to how I felt when I saw the movie Alexander. Its not bad per say but fails to hold my attention. It starts off great, but then settles into a methodical pace plodding through the plot points. Ultimately it wound up feeling to me like an outline of a story without enough character substance and plot detail specifics to gel it together into an engaging cinematic experience. No major technical problems. There were some very well done fades, but in general maybe a little too much reliance on the use of fades for my taste. A/V is no HD extravaganza, but fine for what it is, which is 480p & 2.0 dolby digital. The audio didn't really pop out and blow me away in any specific way, but no glitches or specific problems. This is truly a tv-to-movie edit. Kerr did a good job in this regard. For the most part it feels cinematic, it has a logical beginning, middle, & end, the story is self-contained, and it has a reasonable runtime of less than 2 hours. TV to movie fanedits are extremely difficult to do well, and I'm pleased to report that I really enjoyed this edit. There are many fantastic achievements in this ambitious edit, first and foremost there is a strong throughline narrative, and Kerr has achieved the 3-act structure he intended to. Restructuring the narrative of the series to focus on Brutus and the main players was also very well handled, especially because these characters were not the main focus of the original series. 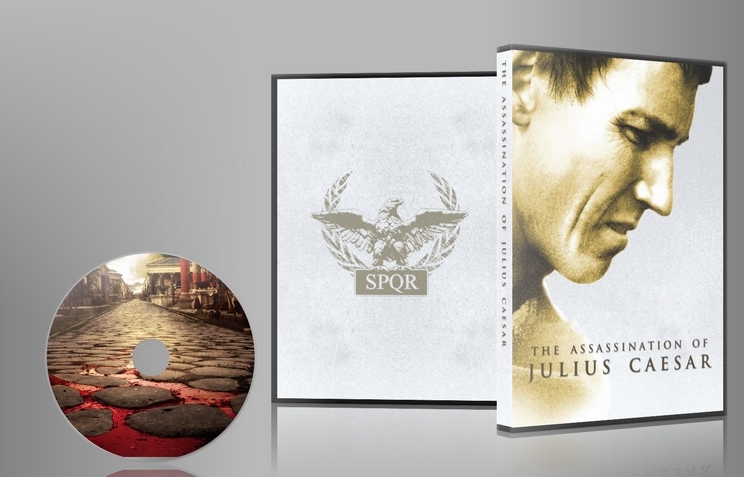 For the majority of the edit, The Assassination of Julius Caesar does feel alot like a stage play - Most of the major action beats happen off screen. At times this was frustrating, when you have to take a moment to catch up on what's going on as the characters describe something extremely significant that has happened off screen. But thankfully, there is payoff in the finale, and the largescale battle feels appropriately epic, given the restraint shown earlier in the edit. One unavoidable problem is that in making Brutus the central character, much of the dramatic weight rests on his shoulders, and unfortunately he is not as strong an actor as some of the other characters. In fact, overall the show has an overacted feel to it, more prominent perhaps when edited into movie form. Ultimately, this is not a major problem, as it makes the film feel more closely associated with a stage play - and given the lack of action beats for the majority of its running time, this feels quite natural and intentional.